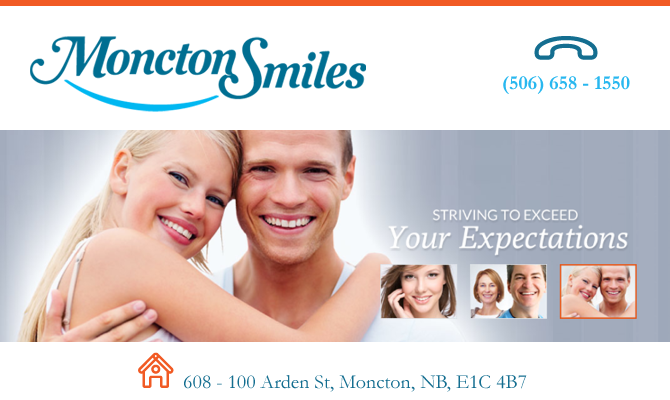 At Moncton Smiles, your Moncton dentist, we want your visit to our practice to be relaxing and comfortable. We will make sure you don’t have wait times: we like to see patients immediately. We are committed to providing family-oriented restorative, cosmetic and preventative dental care. Located in the Professional Arts Building at the Moncton hospital, our friendly team will strive to meet your expectations with our professional services and expert care. Whether you’re looking to have a chipped tooth repaired, get dental implants, learn about preventative care or have your teeth whitened, Moncton Smiles is the dentist office for you. Dr. Stephen O’Brien and his team are dedicated to achieving your dental goals and being your preferred dentist in Moncton.